Aqualisa HiQu > Digital Smart Bath Filler Valve With LED Light (Gravity Pumped). Aqualisa HiQu Digital smart bath filler valve for gravity pumped systems (thermostatic). Thermostatic digital bath filler (anti-scald). One outlet for bath filler. Suitable for filling a bath from a spout or bath filler waste (sold separately). Just press start and will fill your bath (safely stop filling your bath when your chosen depth has been reached). Top Up function: It can add more hot water to bring a cooling bath back to perfection. 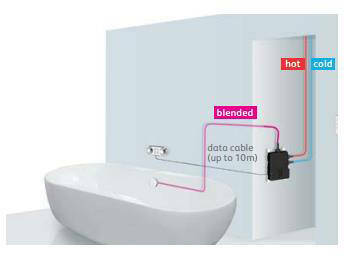 Valve unit can be located up to 10 metres away from the bathing area (data cable included). Easy to install and program bath depths. Start/Stop button: Press button to start. Water will dispense at the temperature and depth level set by the controls. Temperature control: Warmer water move lever to the right, cooler to the left. LED: Temperature is increasing lights up Red and decreasing Blue. Light flashes white during bath filling. 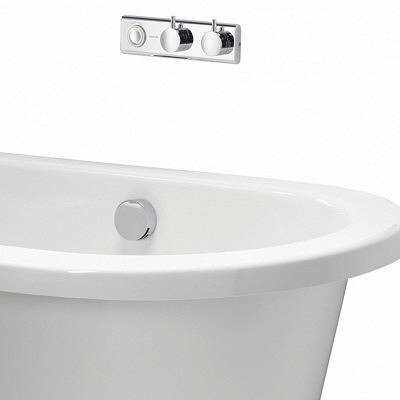 Eco: Water saving without compromising your bathing experience. Optional remote control can be fitted (not included). 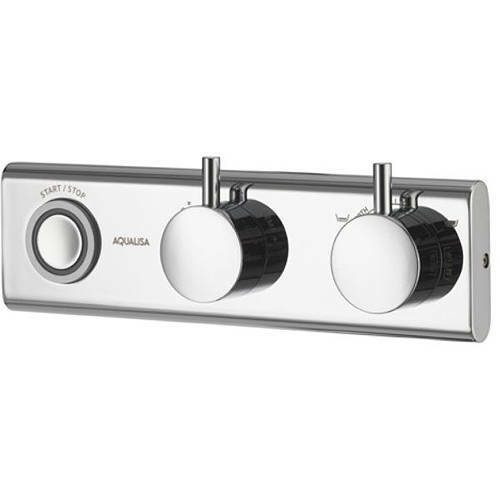 5 Year guarantee: Aqualisa guarantee this smart digital bath filler valve for 5 years.